The Veterans Health Administration, as its website reminds us, is the largest integrated health care system in the US, where “integrated” is a contemporary buzzword in health care. It denotes coordination across many sites and implies a focus on populations, not just individuals, both of which are generally viewed as essential features of a good health care system—and which are widely lacking in the US. The VA, as it is known, provides care to 9 million people at 170 medical centers and over 1,000 outpatient sites. It is also the only form of socialized medicine in the United States: the federal government does not just provide health insurance (as is the case with Medicare); it employs the physicians, nurses, administrators, and others who actually provide medical care. Not surprisingly, the VA is under threat from the current administration, despite its popularity with veterans and the organizations that represent them. The goal of the current administration is to privatize the VA, and arguably the real reason the Secretary of Veterans Affairs was summarily fired is that he wasn’t moving rapidly enough in that direction. At issue may not be money—Trump’s proposed 2019 budget for the VA would be nearly $200 billion, or a 12 percent increase over the current year. Rather, the main concern is ideological—getting government out of health care. My question is: what would that mean for older people, many of whom receive VA benefits? In many respects, the VA provides excellent care for older veterans. It has a long history of innovation in the geriatric realm: it has for years had a network of Geriatric Research and Clinical Education Centers (GRECC) that carry out research and provide clinical care to older people. 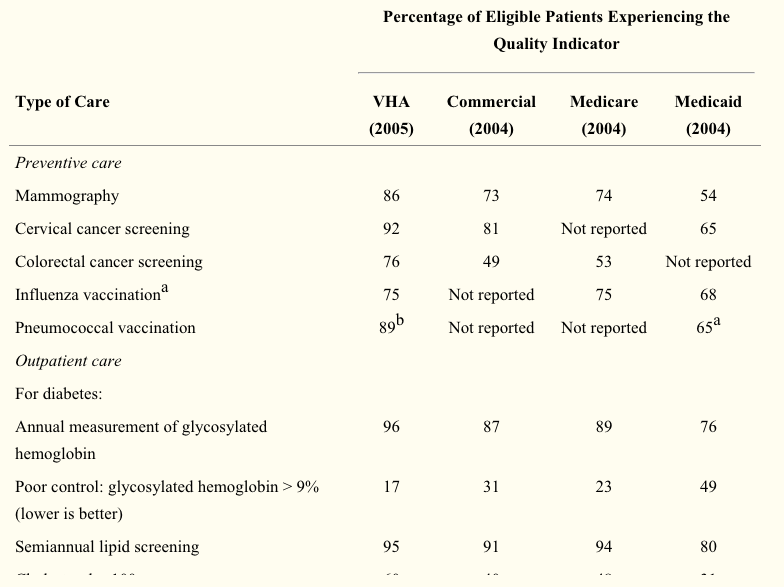 Its Geriatric Evaluation and Management Units (GEMU) that offer inpatient geriatric assessment have been shown to slow the rate of functional decline compared to standard care. The VA has a model Extended Care program that provides room, board, and medical care to veterans needing long term care. And in recent years, it has developed an innovative home visit program for its neediest members. Are all these programs a fluke? To understand, we need a little perspective. The VA health system was created by Congress in the immediate aftermath of World War II. It had several missions including: improving the health and function of US veterans, providing education and training to medical students and residents, and conducting research. But for many years, it was the poor stepchild of the federal government. The Secretary of Veterans Affairs did not become a cabinet level position until 1989. The system became known for inefficiency and mediocrity. But then in 1994, then Under Secretary for Health in the VA John Kizer initiated a radical transformation of the VA system. He created a new system of regional integrated service networks. He developed and implemented a system of quality indicators to drive improved performance. The transformation worked. 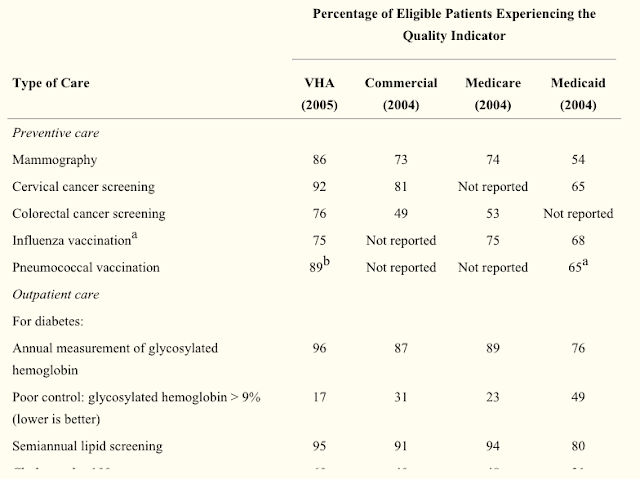 A 2007 study published in the Milbank Quarterly looked at performance over the 1998-2005 period and found that the VA outperformed traditional Medicare, Medicaid, and the private sector on a variety of indices. A RAND study published in 2016 examined the period from 2005 to 2015 and again found that the VA performance was comparable to or superior to standard American health care in most domains. The solution they proposed was to fix those problems, not to outsource VA care to the private sector. Firing Secretary Shulkin, who by all accounts was a very competent and visionary leader, and replacing him with the president’s personal physician, Ronny Jackson who has no experience managing a large organization (let alone one as complex and needy of reform as the VA), is a classic case of throwing out the baby with the bathwater.